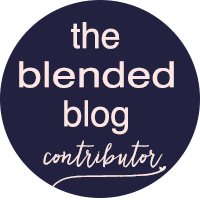 I'm over on The Blended Blog talking about my favorite new appliance, the Instant Pot! 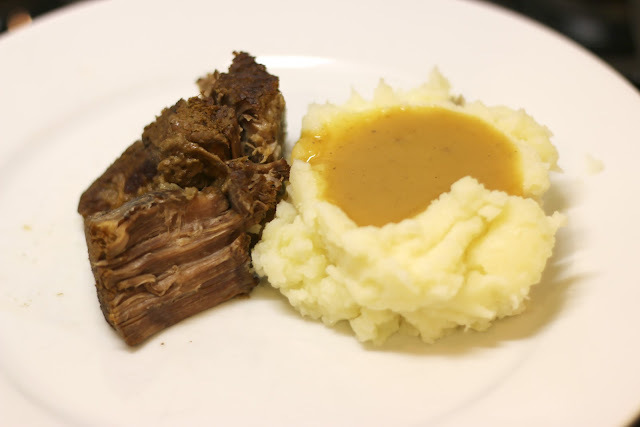 I'm adapted one of my favorite pot roast recipes so I can now make my favorite pot roast in half the time, woo hoo! 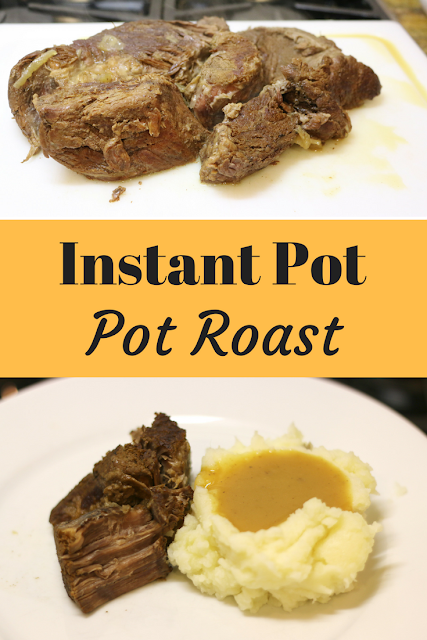 Make sure you're Instant Pot is connected correctly, with all of pieces in the correct place per instructions, i.e. the condensation collector, sealing rings, etc (most of these should already be in place when you buy it). Hit the Saute button, and wait for the screen to say HOT. While you are waiting, salt and pepper your meat. When the screen says HOT, add 1 tablespoon of oil, wait a few seconds and add meat. Each side takes 10-15 minutes to fully sauté. While you are sauteing, cut onions. My family loves onions so I will cut 2-3 of them, I typically will cut off the end, cut it in half and the start making slices. When meat is done sauteing on both sides, add onions on top. 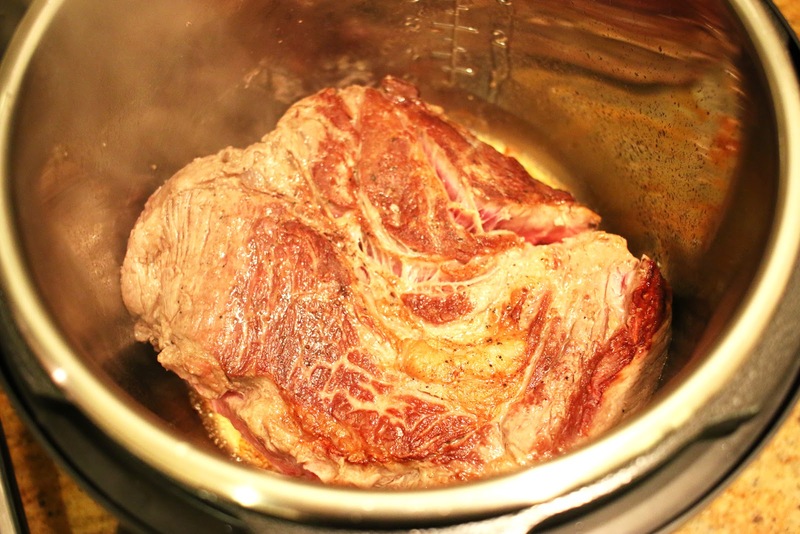 Time for your liquid, turn your Instant Pot off. 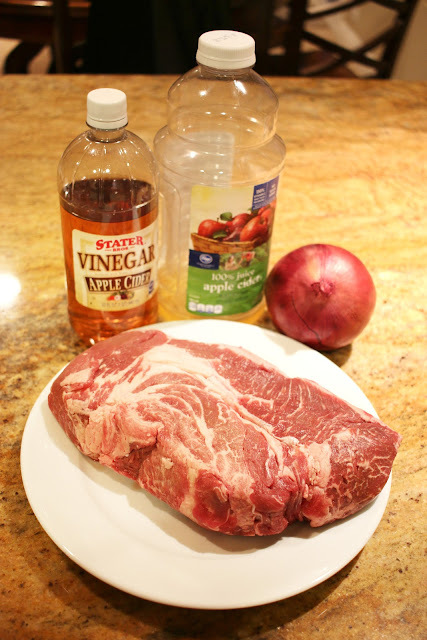 Measure out 1/4 cup of apple cider vinegar and fill the rest of your measuring cup with apple cider. If you have a bigger cut of meat you can go a little over the 1 cup mark, like 1 1/8, that's what I did when I had a 4.2 pound roast. Pour the liquid over the onions and meat and close lid, making sure your valve is set to "sealing" before you start. Press manual mode and set timer to 45-60 minutes. If you have a smaller roast set for the lower temp, if you have a bigger one set to the higher time. Meanwhile, make these awesome Mashed Potatoes. Seriously, it's one pot, you add enough milk/butter/water to the pot so when the potatoes are done cooking, all you have to do is add butter and mash, no trying to pour hot water out, no extra dishes to do. Perfect. Okay so that's not really step 4, but you should make them to go with, they are delicious! Step 4 is really, when the timer goes off, let the roast sit there for 10 minutes for a "natural" release. After the 10 minutes is up, carefully switch your valve to venting and take off lid. Side note: I let it go the other night for 30 minutes because I was doing other things, and it turned out perfect as well, so don't panic if you let it go too long. 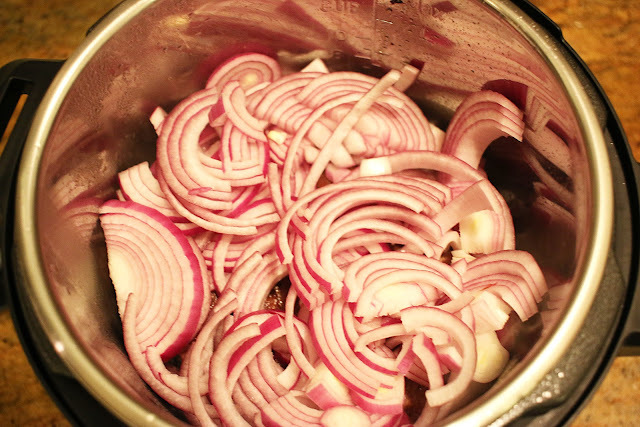 Scoop out the onions and place into a separate container and save for when food is served. Then carefully take out the meat and place on cutting board (preferably with the juice channel, so they don't go all over the counter). The meat will be falling apart, so most likely it will not come all in one piece. Take the juices and pour into a separate container, you're going to need it to separate so you can get the fat. Take 4 tablespoons of the fat and put into sauce pan. Heat up and whisk in 4 tablespoons of flour, whisk continuously until it turns a light brown color (should take 3-5 minutes). Measure the juice without the fat to 2 cups, if you don't have enough juice you can substitute with water. 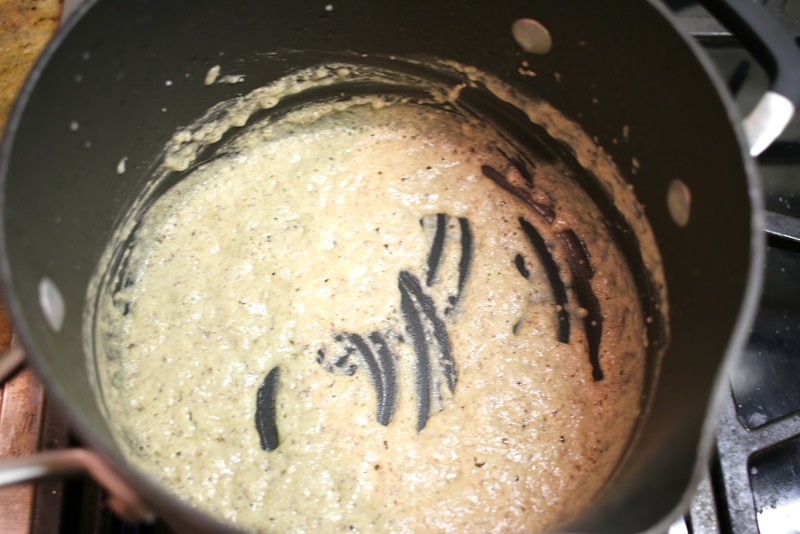 Whisk the 2 cups of juice to the flour mixture, once all incorporated let simmer until desired thickness. This will take about 10-15 minutes. I always like to make more gravy depending on how many people are coming for dinner. I made a handy chart of measurements in case you want more gravy than 2 cups (which really comes out to about a cup of actual gravy). Enjoy! 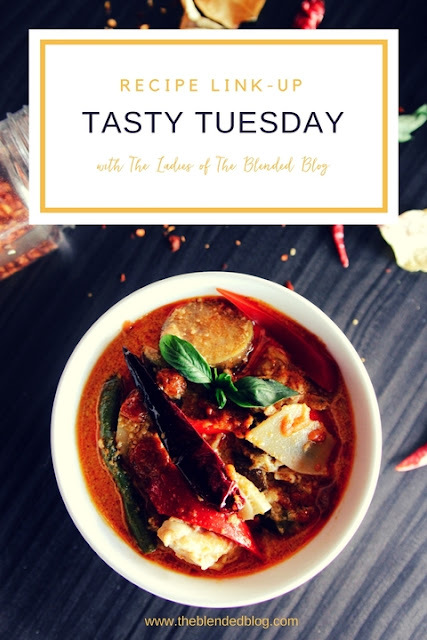 This is such a yummy and easy meal to prepare and it only takes 2 hours from start to finish, including the gravy! 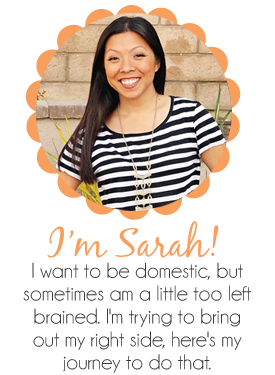 I know you want to go out and get an Instant Pot (affiliate link) now, right? !